Home » Website Building » SEO » What is Baidu Ping Service? Ping is a free tool from Chinese search engine giant Baidu helps webmasters to submit their blog feed to Baidu search engine. Ping is based on XML_RPC standard protocol update notification service for blog updates which will quickly notify Baidu spider to crawl and index your blog posts in a fast and timely manner. This is a really helpful tool especially for the blog owners who update their blog more frequently to ensure the blog pages are crawled quickly. 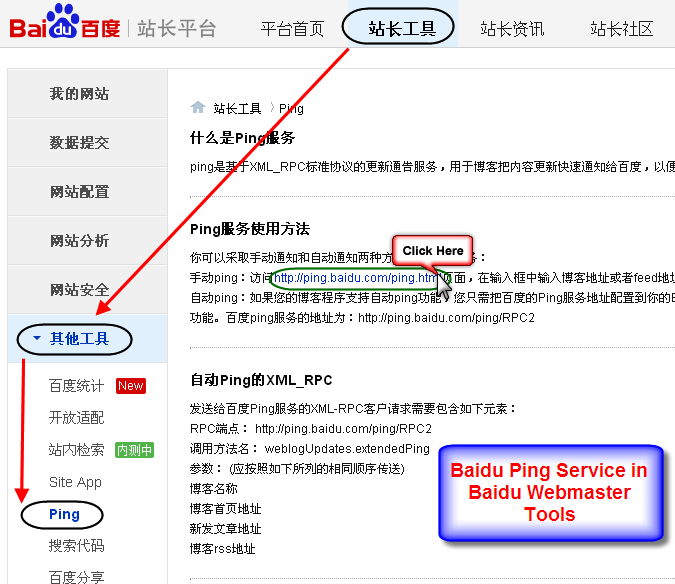 How to Access Baidu Ping Service? 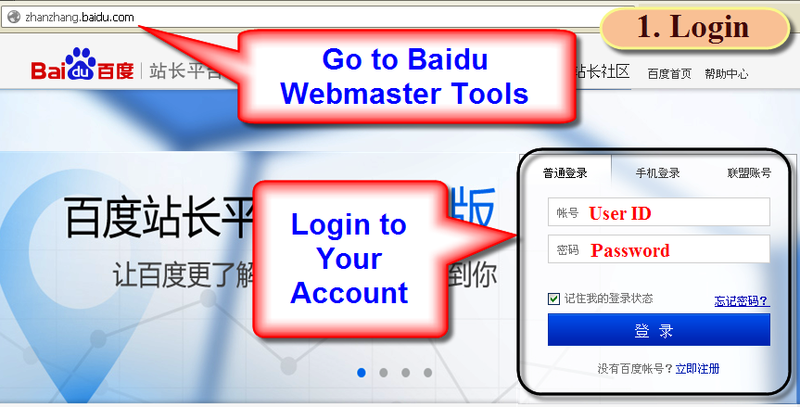 You can also directly access this Ping tool here without registering for Baidu Webmaster Tools.